First pie I made over the holidays with the "Easy as Pie" Apple Pie Recipe. You can see the nice convex curvature of the top of the apple pie. I also did a variation on crust which I particularly like. Over the holiday, I made two more apple pies with my “Easy as Pie” Apple Pie Recipe. Here are some shots of the results. On the first, I varied the amount of apples for the recipe, almost doubling it. 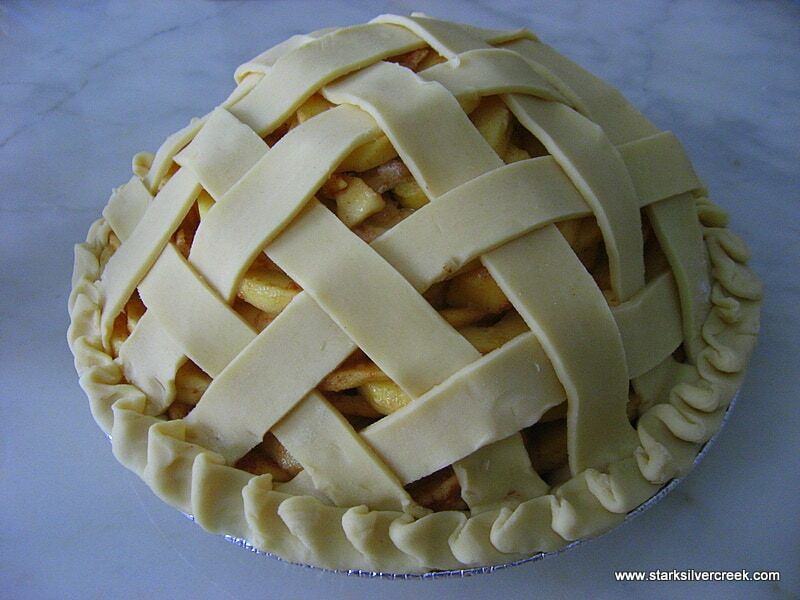 The result is a very impressive dome profile on the apple pie. 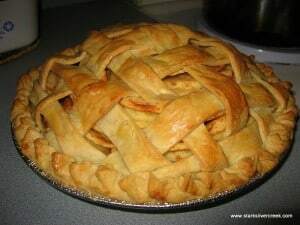 One tip to remember if you do this is to bake the pie with the foil on the pie for an extra 15-20 minutes to ensure the apples have fully cooked through. 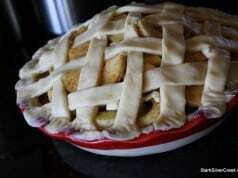 The second apple pie, I used a homemade crust that H.S. made and had some crust left over so I prettied up the top with leaves and a berry for design. Just before putting on a brushing of cream and popping into the oven. 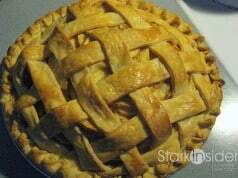 My favorite step of making an apple pie is weaving the lattice on the top. 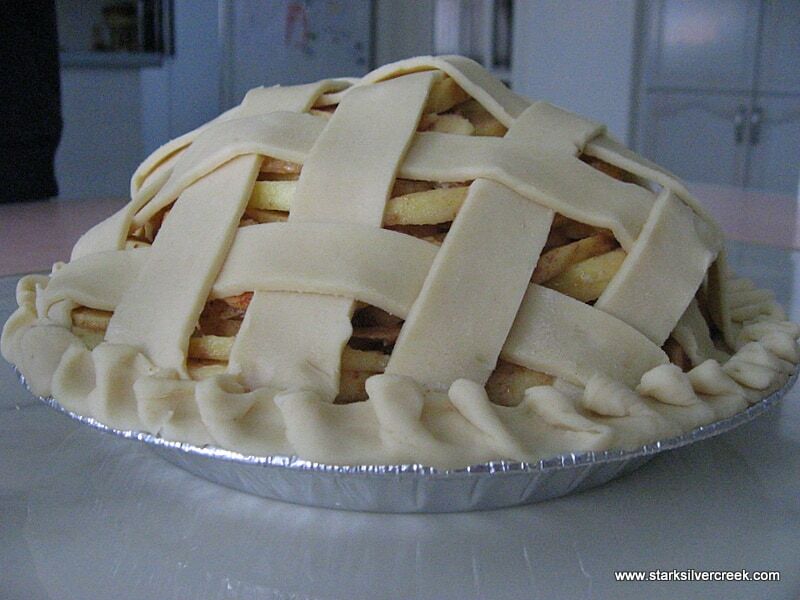 I think it is the ultimate way you make the top crust of an apple pie. 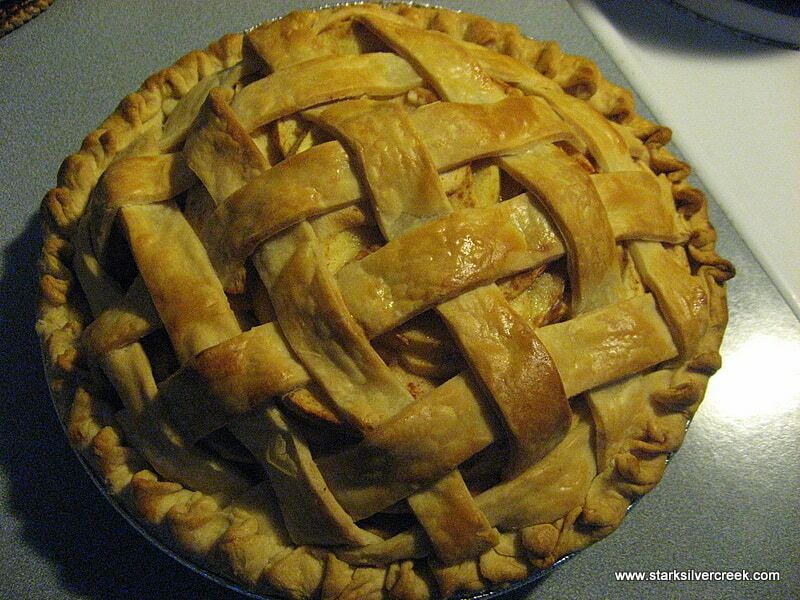 Can you tell I am especially proud of this particular pie's lattice work? The pie came out nice and golden brown from the oven. 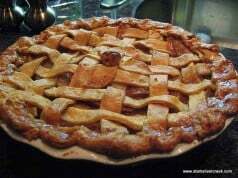 I love the smell of apple pie baking in the oven...nothing makes a house smell like a home than warm apple pie. 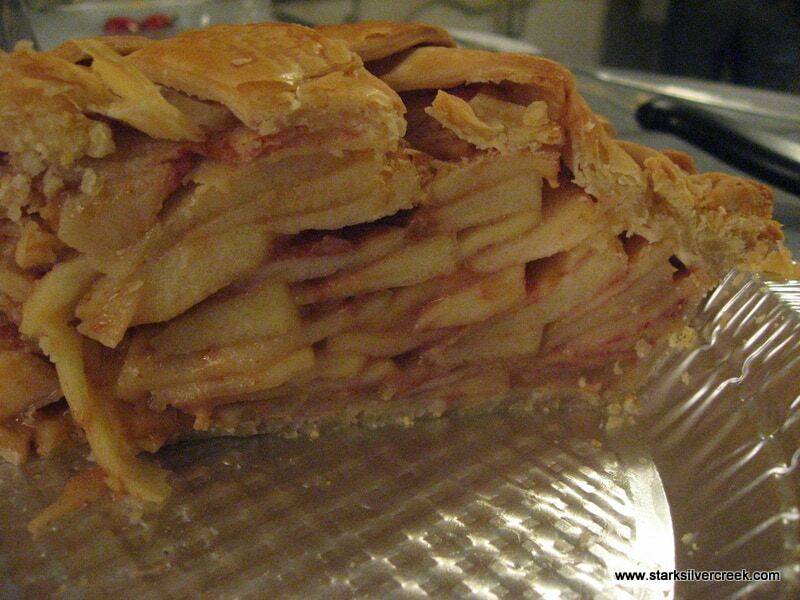 The inside of the apple pie. I had to use a foil pie dish instead of my Emile Henry pie dish because I was at my parents house. The crust turned out surprisingly nice and crispy on the outside.